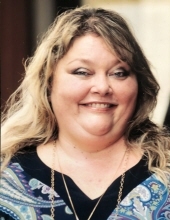 Patricia “Pua” Kline of Honolulu, HI, passed away on March 13, 2019, at the age of 55. Born on February 3, 1964, she was a proud Aquarius and fully believed her birthday should be celebrated as a month-long event. She is survived by her mother, Virginia Kline, her daughter, Chelsea Delgado, and her grandson, Mason Delgado. Pua was a daughter, mom, Tutu, and friend. She was always willing to lend a helping hand and was the life of the party. She had a wonderful sense of humor, which endeared her to everyone she came in contact with; helping her turn friends into family. The light she had inside of her shone brightly and drew people near. The absolute joy of her life is her grandson, Mason, her “Bubs”. The bond they shared will never be severed no matter how great the distance. She touched so many people’s lives and will be missed dearly. Mom/Tutu, we remember and we’ll never forget. We love you to the moon and back. Always, always, Bear and Bubs. Service will be held in summer of 2020. To send flowers or a remembrance gift to the family of Patricia "Pua" Kline, please visit our Tribute Store. "Email Address" would like to share the life celebration of Patricia "Pua" Kline. Click on the "link" to go to share a favorite memory or leave a condolence message for the family.